The United Nations (UN) cited Bahrain’s pioneering labour market reform, the Flexible Work Permit, as one of a number of international best-practices to form part of the draft Global Compact on Migration due to be adopted following the International Migration Conference in 2018. 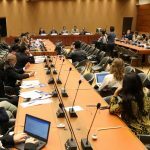 This achievement follows several showcasing participations in UN meetings and conferences, the last of which being a special forum hosted by Bahrain’s Permanent Mission to the UN Office in Geneva and the Labour Market Regulatory Authority (LMRA) on the side-lines of the Sixth Informal Thematic Session for the Global Compact on Migration. The forum highlighted the Flexible Worker Permit as a ground-breaking alternative to traditional labour market management systems. The Flexible Worker Permit enables expatriates who meet certain conditions to work and reside in the Kingdom of Bahrain without a sponsor, for a renewable two-year period. 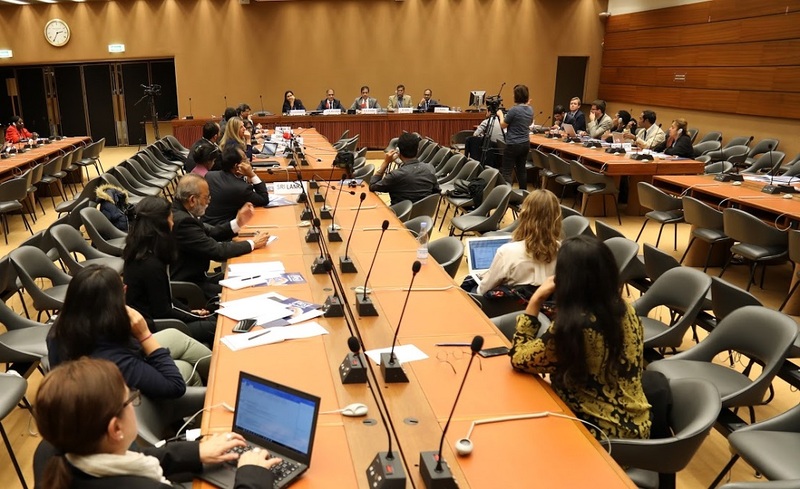 The LMRA’s Chief Executive Officer, Ausamah Alabsi, delivered a statement on behalf of the Government of Bahrain before the recent UN Forum on Migration held in Geneva. 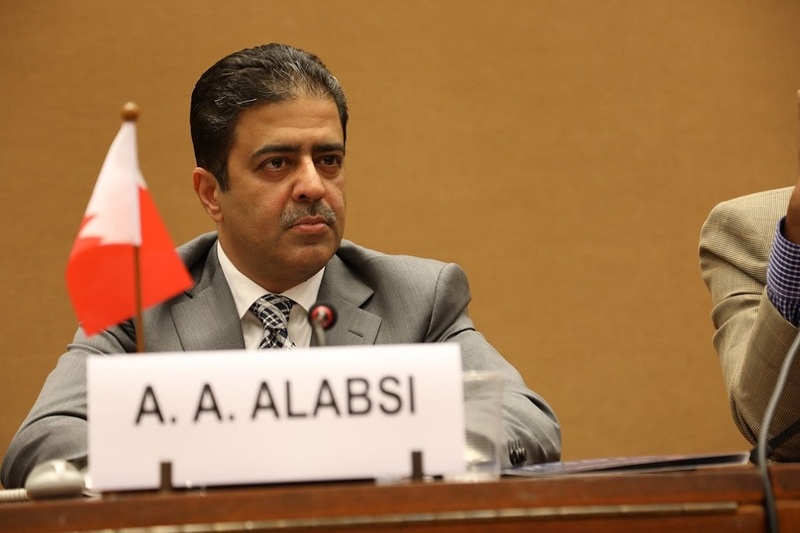 In his statement, Alabsi noted that the Flexible Worker Permit is the first of its kind in the GCC, offering employers greater flexibility to pay and source labour while creating significant new opportunities for the Kingdom’s private sector. 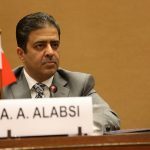 Alabsi went on to say that the special forum hosted by Bahrain reflects the government’s commitment to working with international partners to develop innovative solutions that address challenges and irregularities in the global labour market. Alabsi asserted that the outstanding attendance of the forum by ambassadors, international organisation representatives and country delegations, as well as participation from the International Organisation for Migration and the Migrant Forum in Asia, is a positive indication of the level of international support behind the Flexible Worker Programme and other vital initiatives. William Gois, the Regional Coordinator for the Migrant Forum in Asia, and Tauhid Pasha, Senior Labour Migration Specialist at the International Organisation for Migration, also spoke during the session. This entry was posted in BNA and tagged Ausamah alabsi, flexible work permit, LMRA CEO, United Nations (UN) by Labour Market Regulatory Authority. Bookmark the permalink.